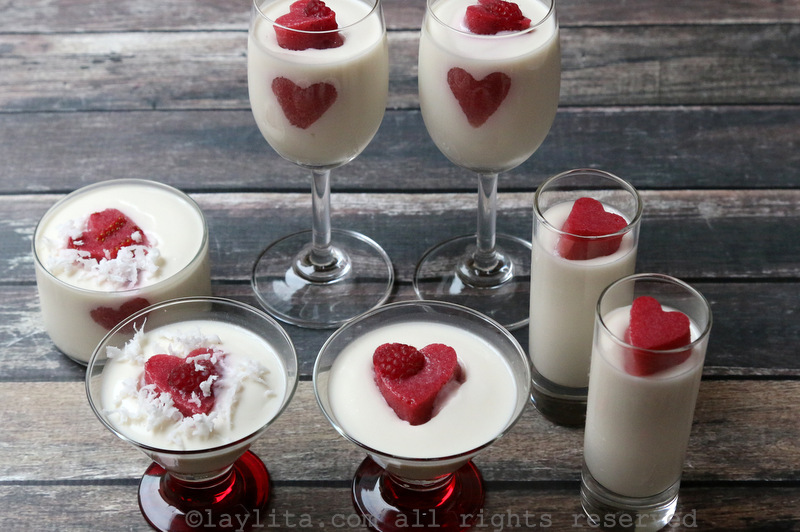 This coconut panna cotta with berry hearts is a special dessert for Valentine’s day or a romantic occasion. 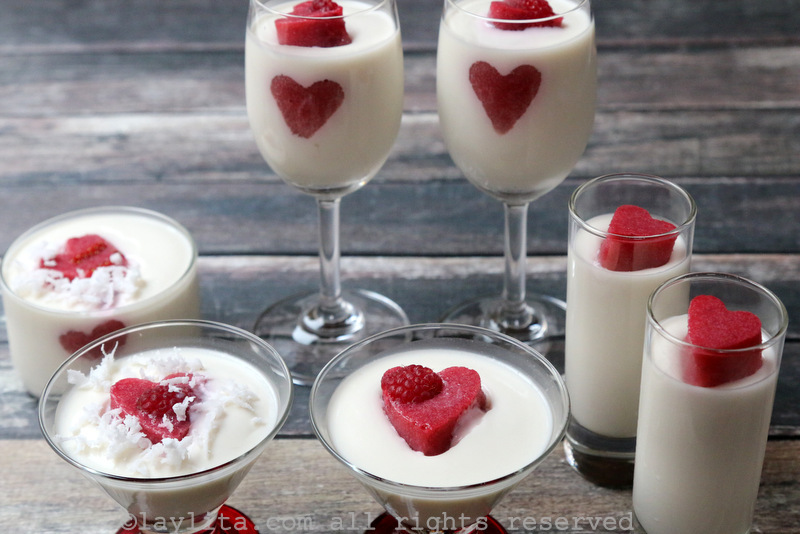 It’s made with a creamy coconut panna cotta – an Italian gelatin dessert- and strawberry raspberry hearts as a garnish or filling. 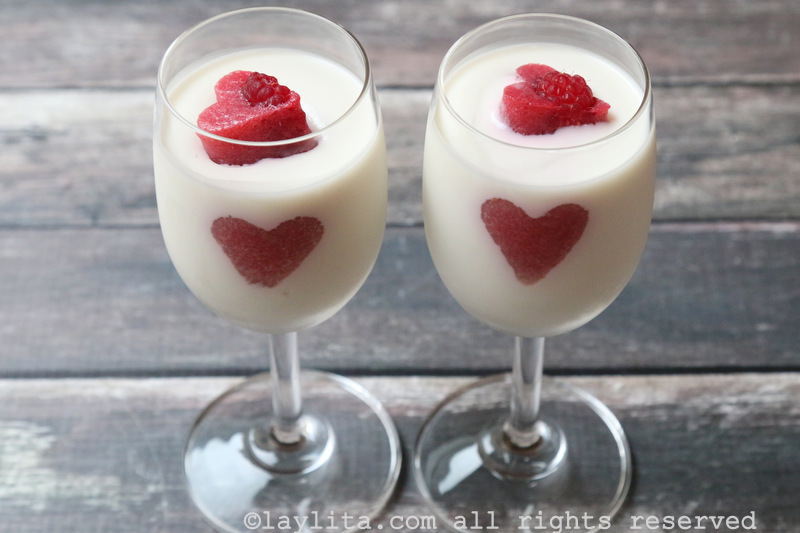 It’s no secret that panna cotta is one of my favorite desserts and one of my preferred make ahead desserts for parties and gatherings with friends. I also, as a good Ecuadorian, love everything coconut related, so this is a perfect match. Unfortunately my kids haven’t always shared my love of coconut. However, in the last years they’ve made some progress and are starting to like coconut (yay!). My boys do love any gelatin based dessert and are also huge fans of the classic vanilla panna cotta. They also love when I make fruity gelatins using real fruit and unflavored gelatin. 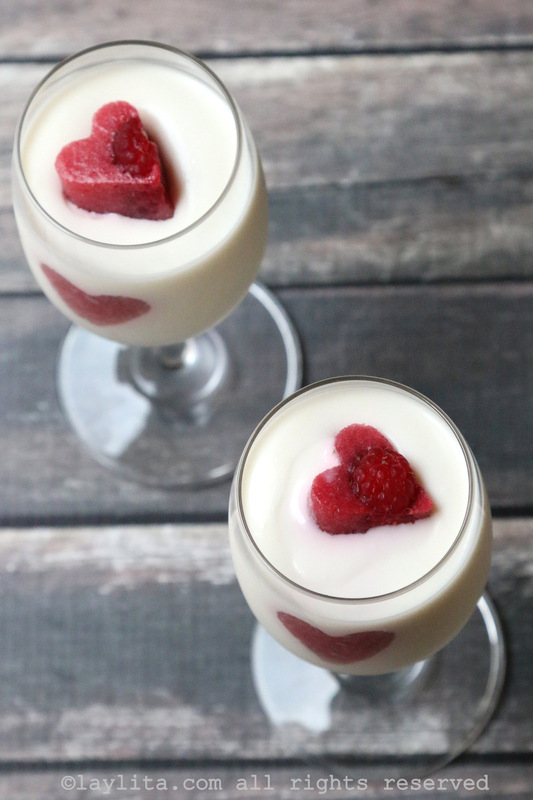 I was originally going to make the hearts using just strawberries, but I had recently made some strawberry raspberry smoothies and loved the flavor combination. So I decided to recreate it for the heart shaped part of this Valentine’s day dessert. You’ll need to make the berry gelatin ahead of time, at least 6 hours – a day ahead is ideal. The coconut panna cotta is also delicious on its own. If for any reason (like basic life stuff) you didn’t have time to make the hearts, you can just go head and make it without the hearts. Put it in heart shape mold, or not – it will still taste great (for coconut fans). 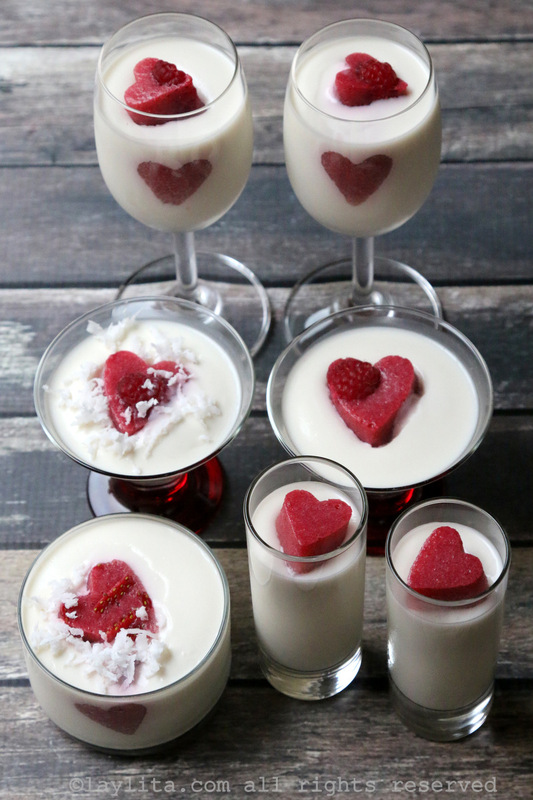 Recipe for a special Valentine’s dessert of coconut panna cotta with strawberry and raspberry hearts. Chop a few of the strawberries, set aside and save to use for decorating. You can also save a few raspberries. Blend the rest of the strawberries and raspberries with the sugar and water. Taste and adjust the amount of sugar (if desired). Strain the mix; you should have about 2 cups of pureed fruit. Place ½ cup of the berry puree in a large bowl and sprinkle the gelatin over it to soften the gelatin. Heat the other 1 ½ cups of the strawberry raspberry puree until it is hot and almost boiling. Combine the warm strawberry raspberry puree together with the gelatin and the cold puree. Mix until the gelatin is well dissolved. Pour the mix into a rectangular glass mold or into a heart-shaped ice cube tray. Add the chopped strawberries and/or whole raspberries on top. Refrigerate for a few hours or until the strawberry raspberry gelatin has set and is firm. Use a small heart shaped cookie cutter or other hearts molds to cut out heart shapes. 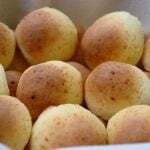 Keep refrigerated until ready to use. In a medium sized pot, heat the coconut milk, the rest of the milk, the heavy cream, and the sugar until the mix starts to boil. To make sure the texture of the panna cotta extra smooth you can pour the coconut cream mix through a mesh strainer, this well help remove any clumps. If using grated coconut, add it after this step. 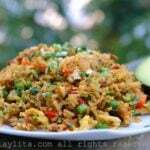 Add the fresh or dry grated coconut. Place the strawberry raspberry gelatin hearts in the bottom of the molds (if unmolding) or on the side if using clear glasses. You can also add them on top after the panna cotta has started to set. 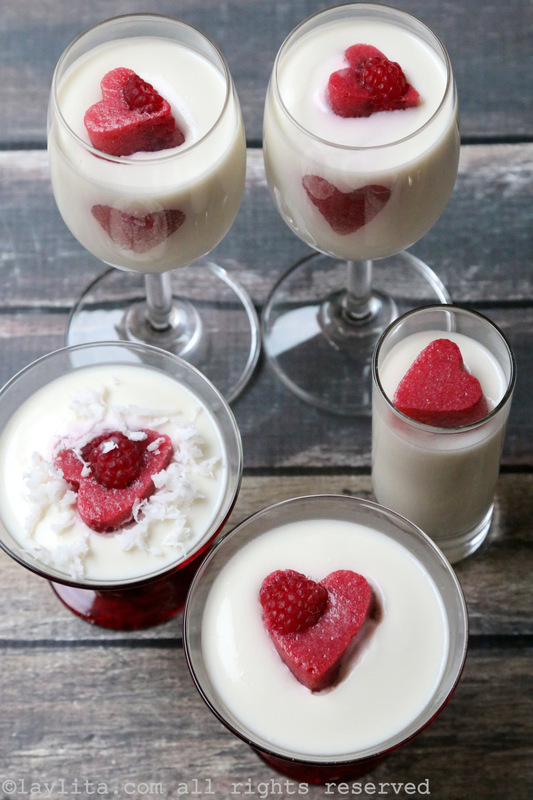 Pour the coconut panna cotta mix into serving glasses or molds according to your preference. Serve directly in the glasses or remove from molds. Garnish with your choice of fresh fruit, fruit sauce, dulce de leche or caramel, chocolate - or simply serve alone. You can use the leftover scraps of the berry gelatin to make a quick dessert, put them in a glass or small bowl with fresh fruit and a bit of whipped cream or vanilla ice cream.